Two Everton shareholders, Mark Grayson and Tony Bennett, surely the oldest crooner in the boardroom, have petitioned fellow shareholders to back them into forcing the club into further discussions regarding the ground move. And they claim to have the backing of over 350 shareholders, which would be enough to force an AGM at the club. Everton fans have already voted in favour of a move to Kirkby and the plans, in conjunction with Tesco, were approved by Knowsley council last month. But it appears that the goalposts keep getting shifted and the plans put forward by the club when the fans were originally balloted appear to be different from the plans currently on the table. 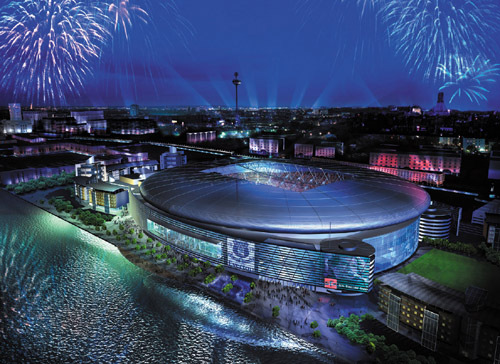 The glossy brochure that was posted out to shareholders and season ticket holders talked of some sort of 'Bluetopia' whereby Everton would have a world-class stadium and the club would not be saddled with any further debt. You'd even be able to get your big shop in when you went the game…for many, in fact or the majority it seems, it was a no-brainer! But now we are in a situation whereby we'll actually be spunking £78 million - and where's that coming from? - on a mid-level stadium…not quite the land of milk and honey we were promised! And to put things into perspective, it was just five years ago that the club couldn't find just £20 million to put into the King's Dock project. A flagship waterfront stadium that would've been ready in time for this year's Capital of Culture celebrations! Shortly after the news broke that Liverpool Vision had removed Everton as the preferred developer for the site , Bill Kenwright came out to express his disappointment that the project would not be seen through. He said of the failed bid:"We intend however to use the experience we have gained in this venture to help bring about our ambitions to take Everton forward." 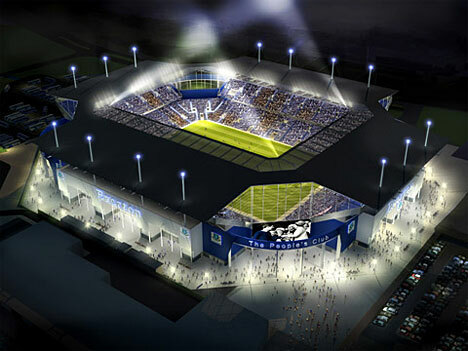 And added: "Everton will now be working very closely with Liverpool City Council to deliver the first class stadium which Everton supporters want and deserve." So how did we end up stonewalling the city council and jump into bed with Tesco? It's probably not a question that will be asked or answered at the EGM, but there are plenty of other questions, more pertinent to the Kirkby move that will surely be asked. The club has 21 days to respond and a further 28 days to arrange the meeting, so it'll probably be September before anything happens. And, as a footnote to the story, Walton MP Peter Kilfoyle yesterday gave his public support to Everton's proposed move to Kirkby. How could it possibly be in the interests of his constituents that a multi-million pound company moves away from area? Is it just me or is everything about the club just a little bit annoying lately? !